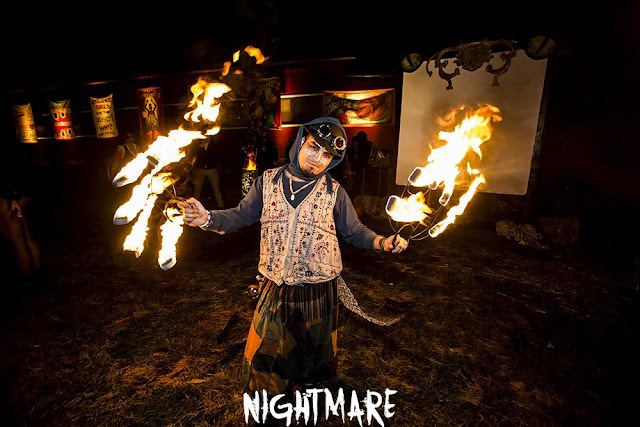 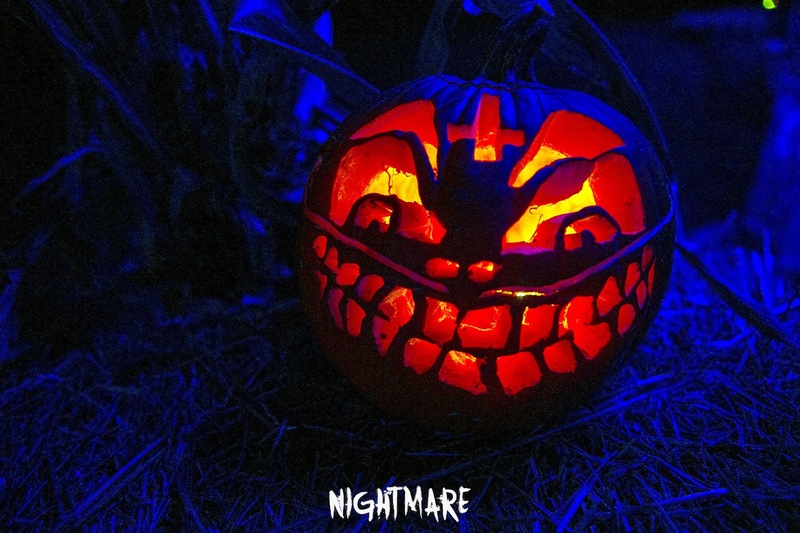 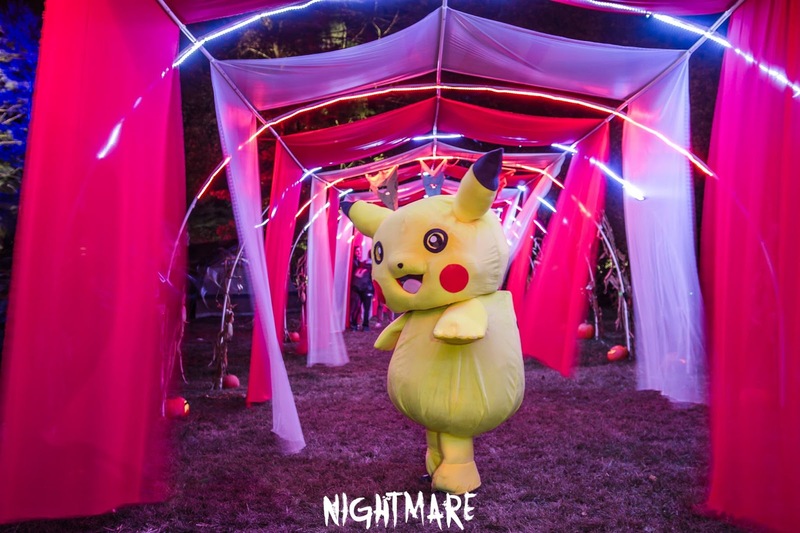 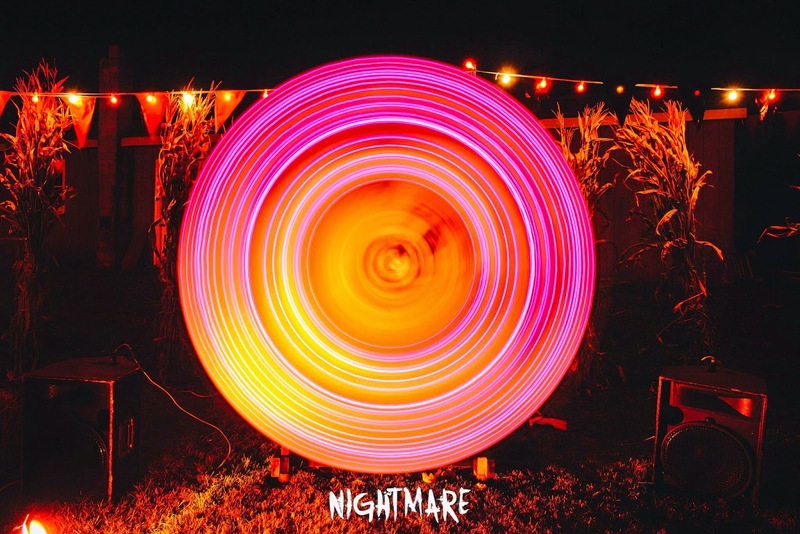 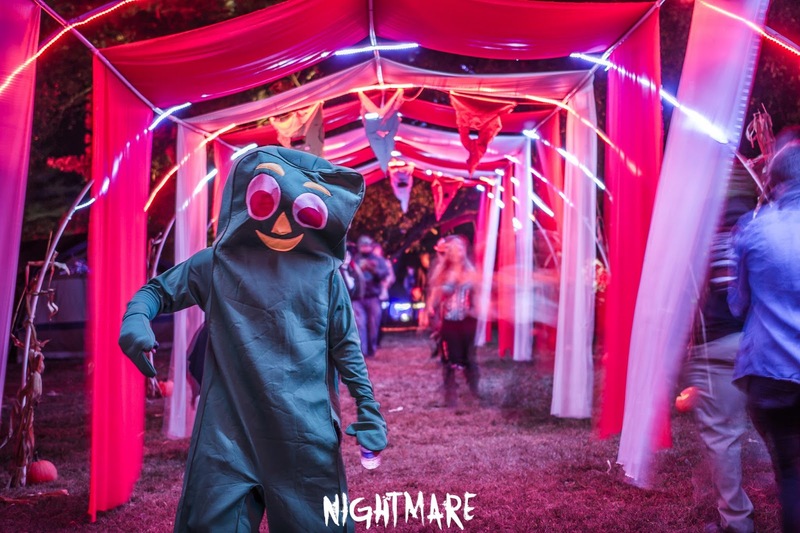 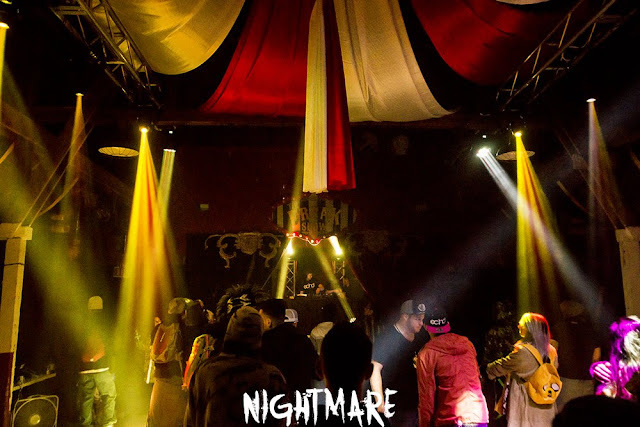 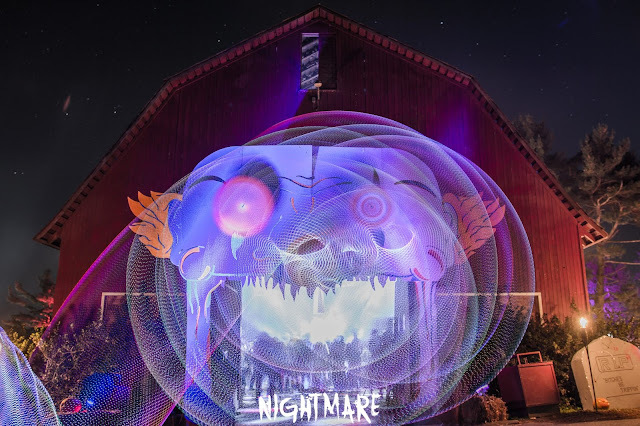 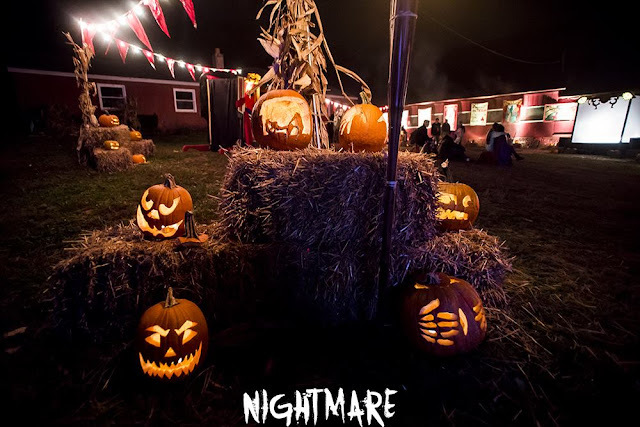 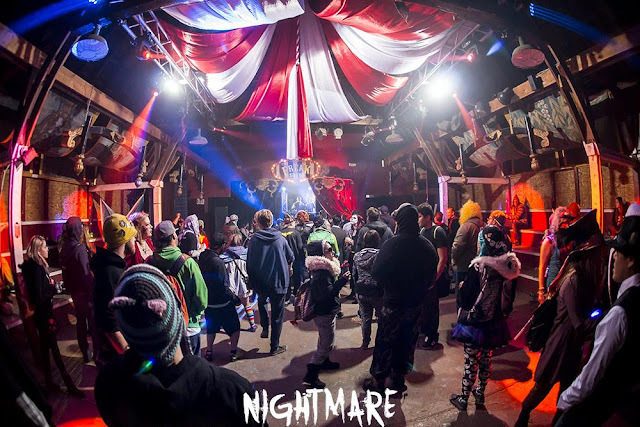 Nightmare Festival 2015! 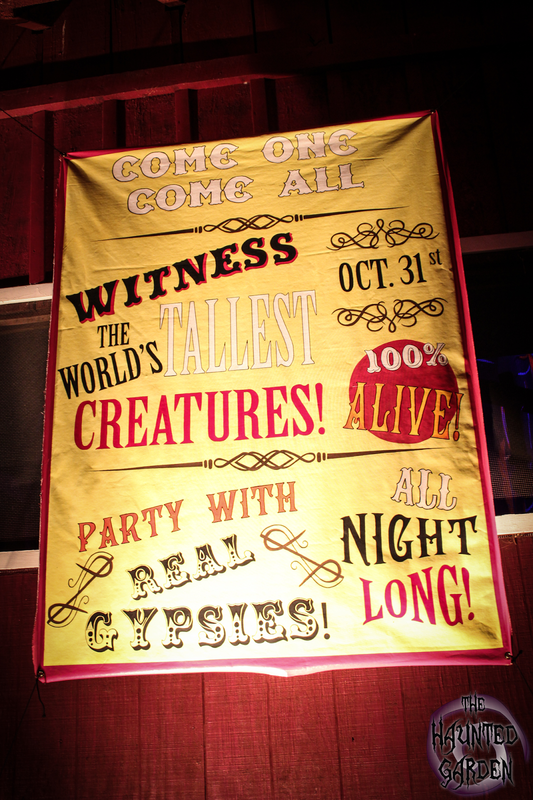 WOW what a time it was! 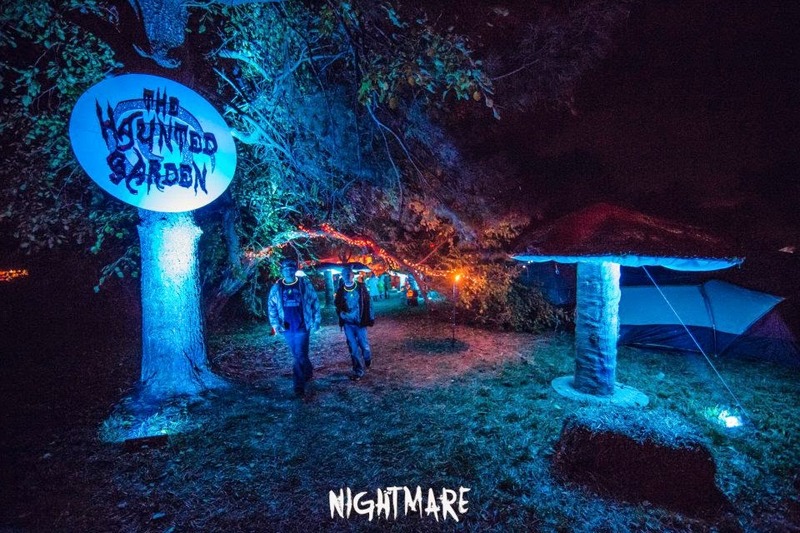 It was our second year hosting the outside grounds. 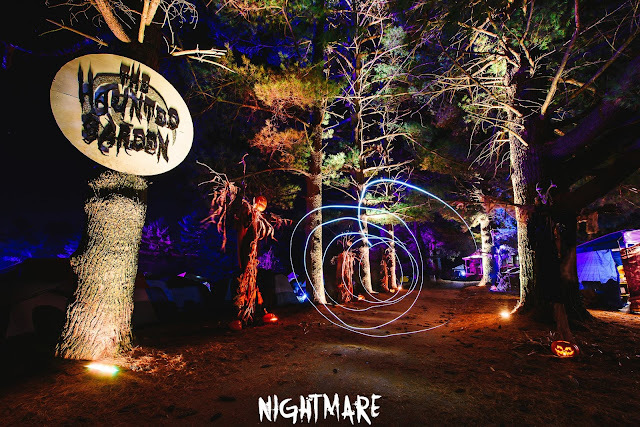 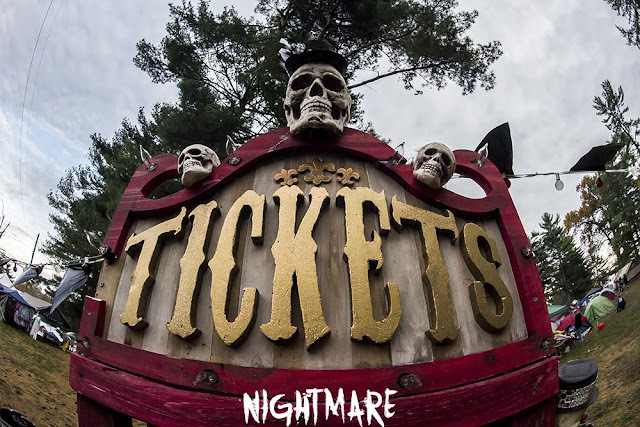 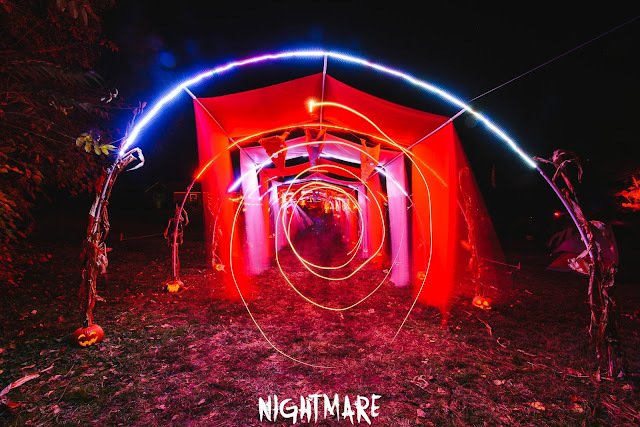 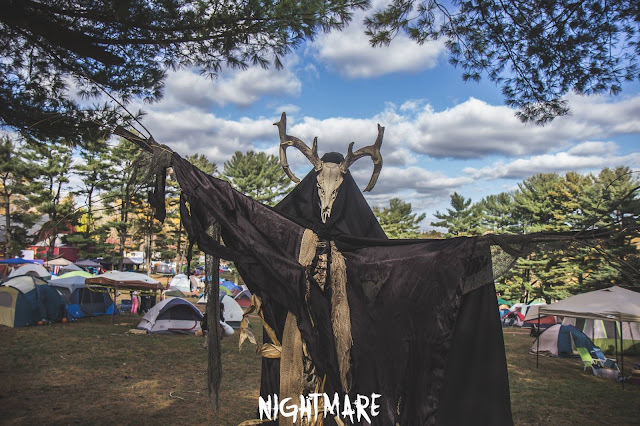 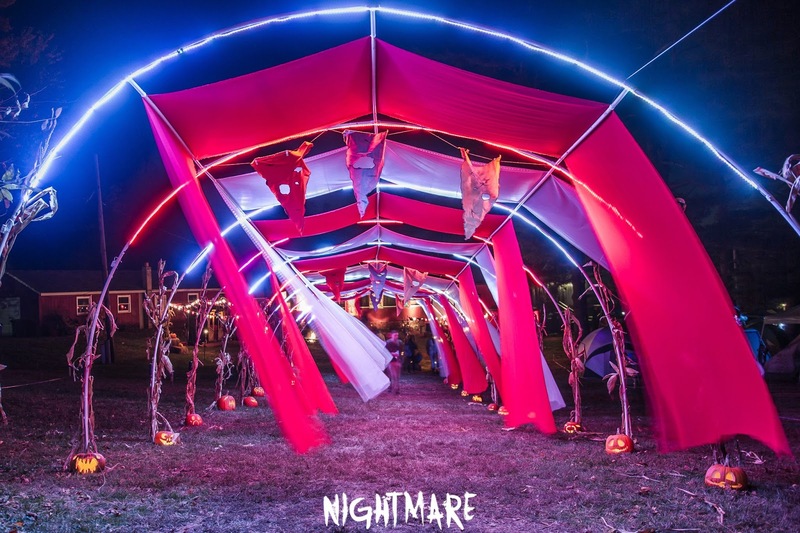 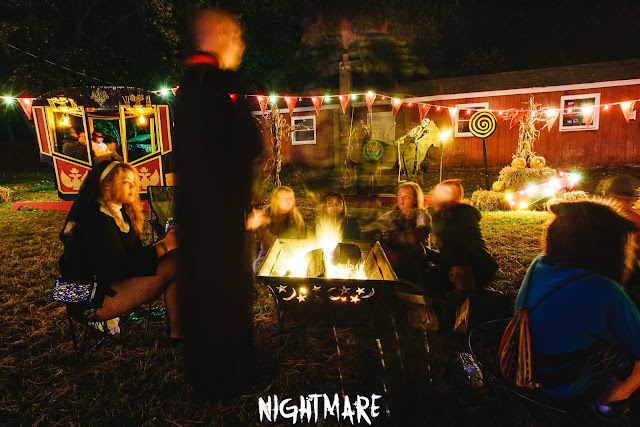 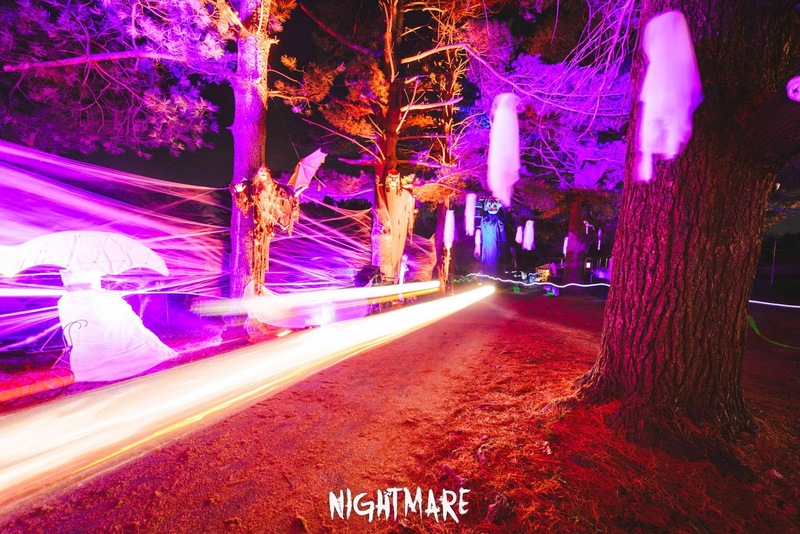 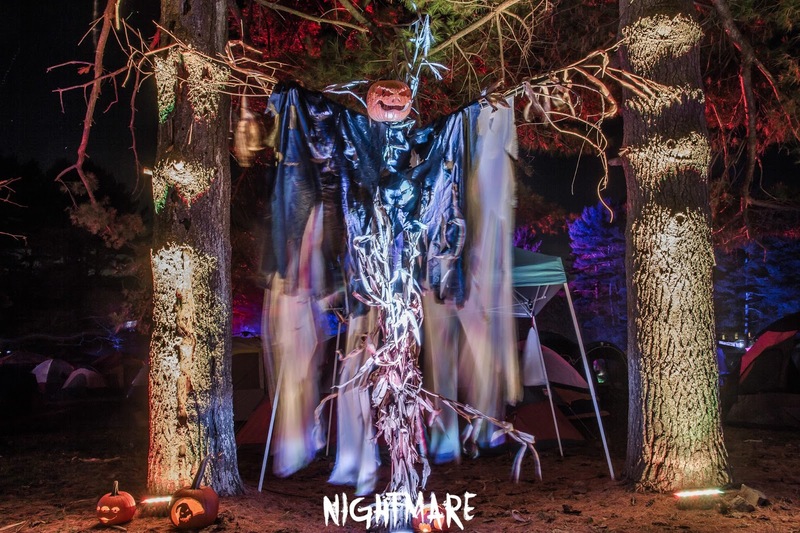 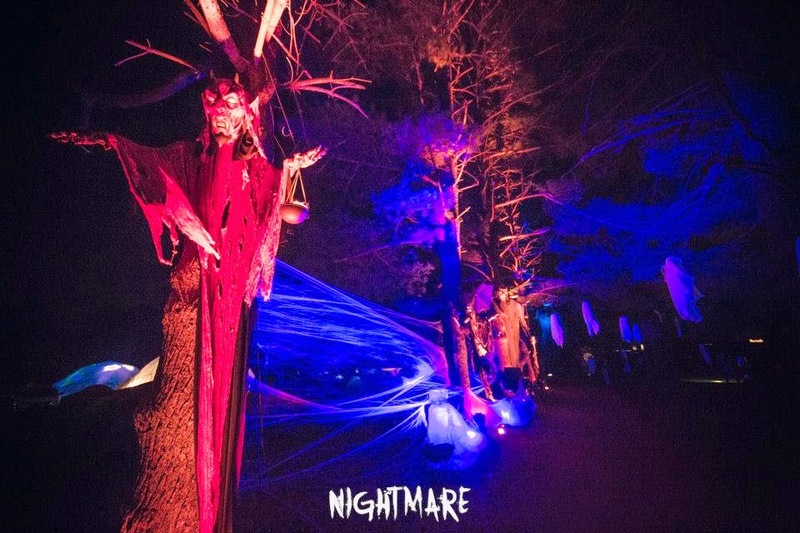 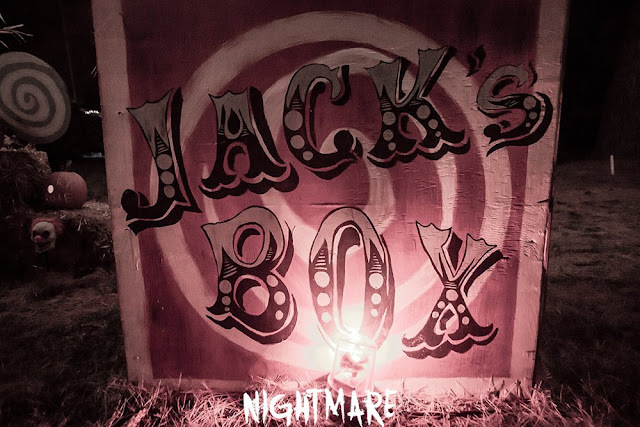 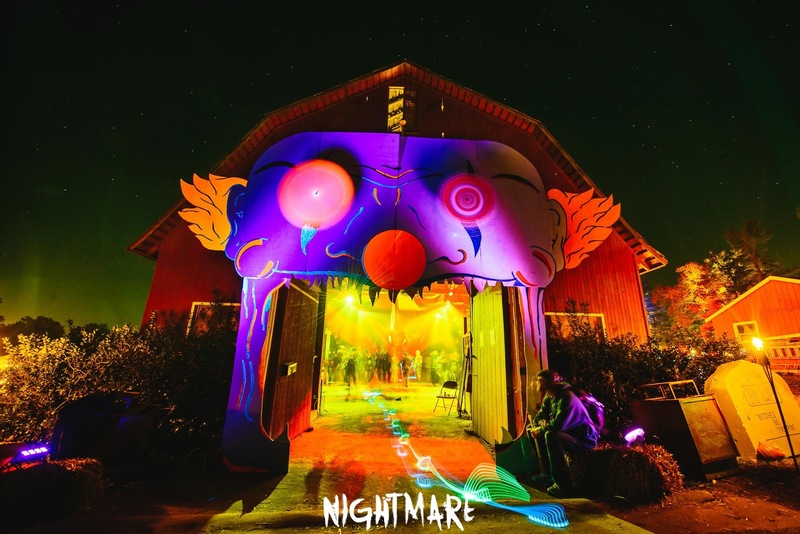 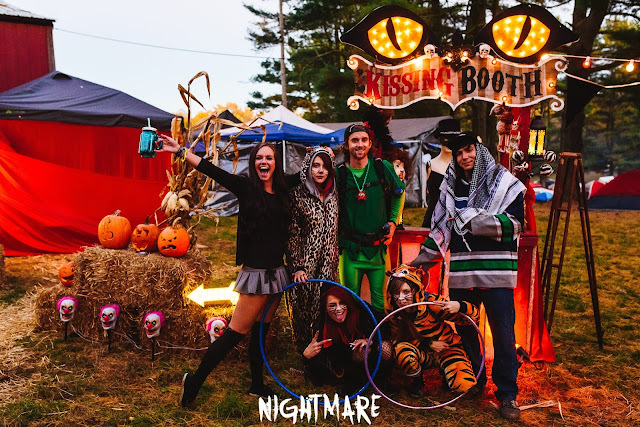 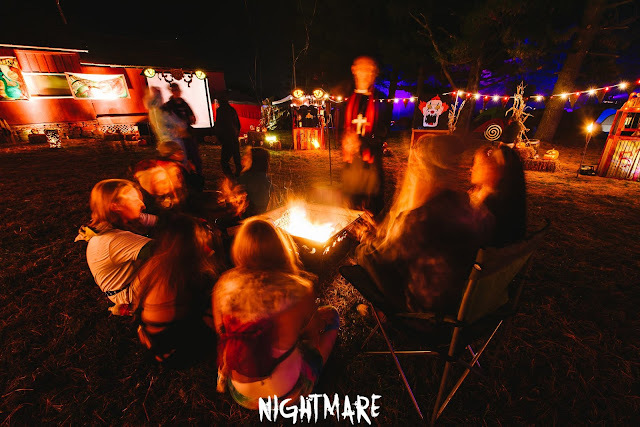 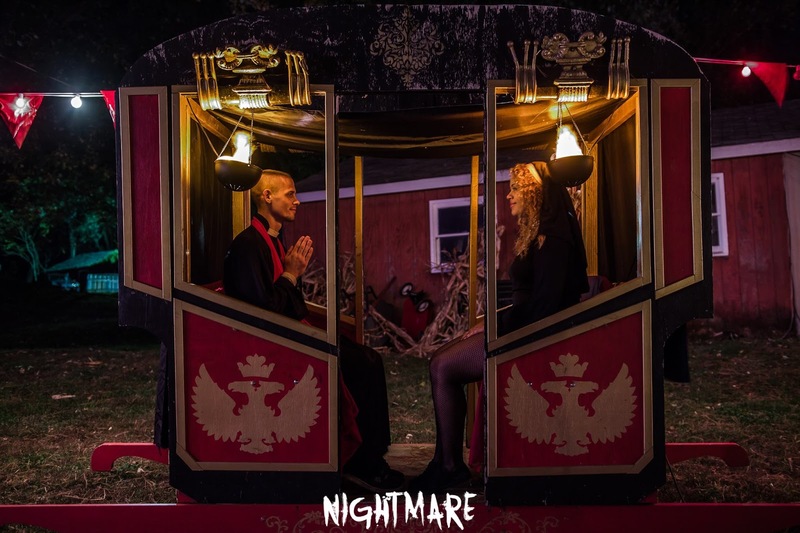 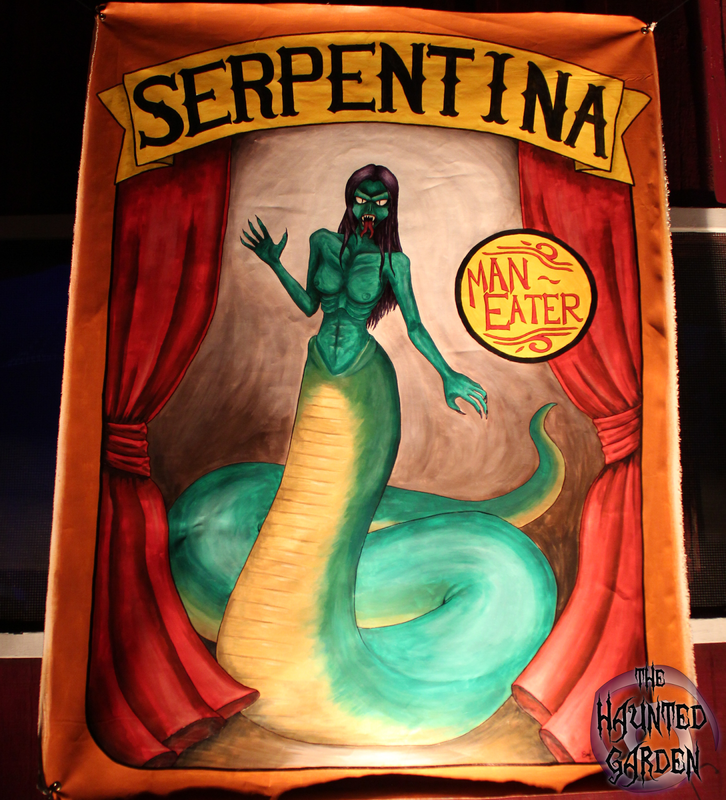 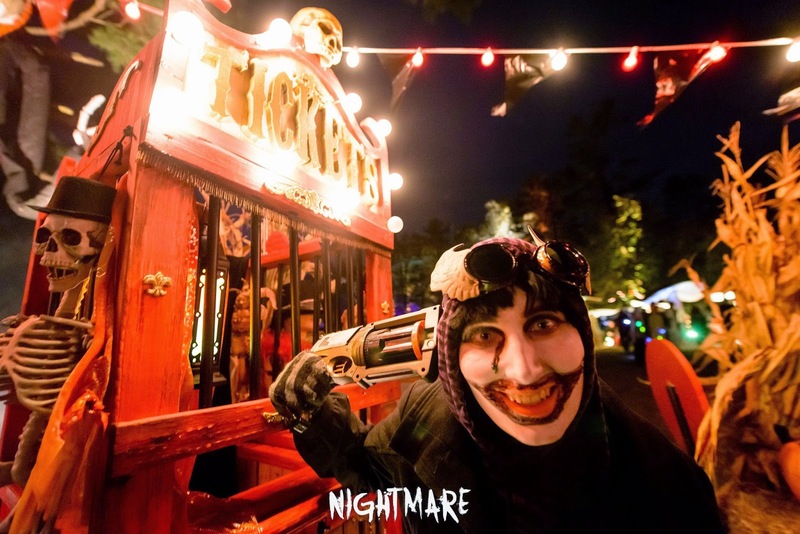 Our goal was to create a haunted playground for the festival's patrons as they traveled from stage to stage. 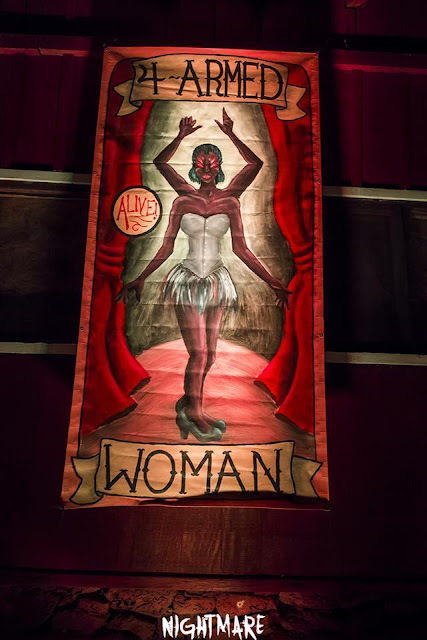 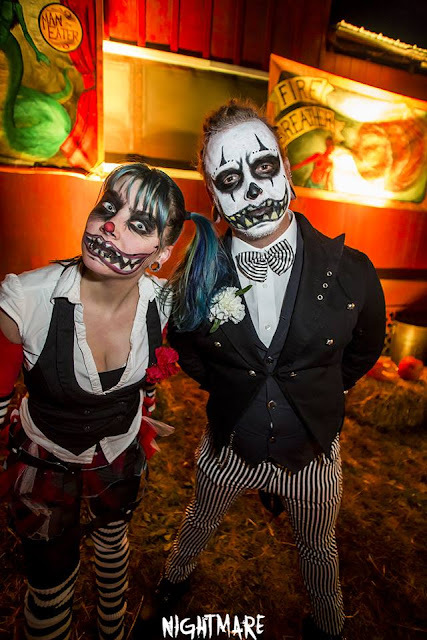 The Night Circus was back, this time with the help of Electrocute's dazzling performances and an array of our own clowns and actors to get silly in. 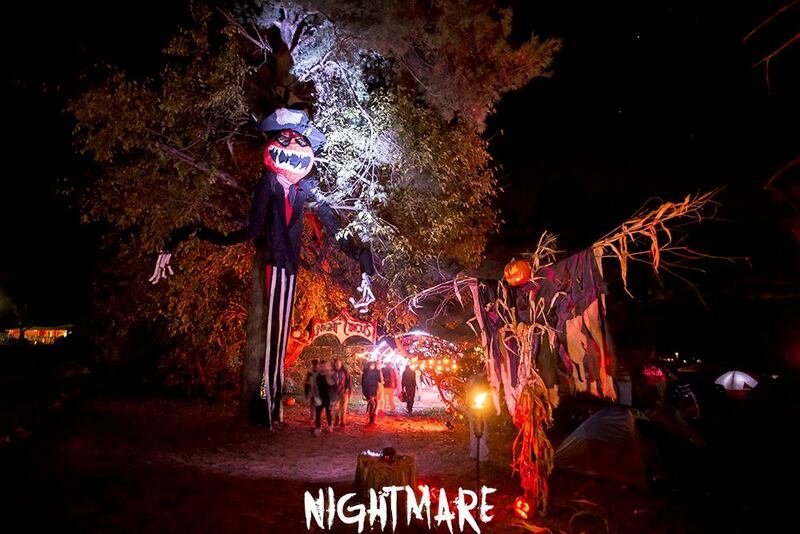 Scarecrow Row was a path of handmade scarecrows, some with animal skulls, some with real pumpkin heads. 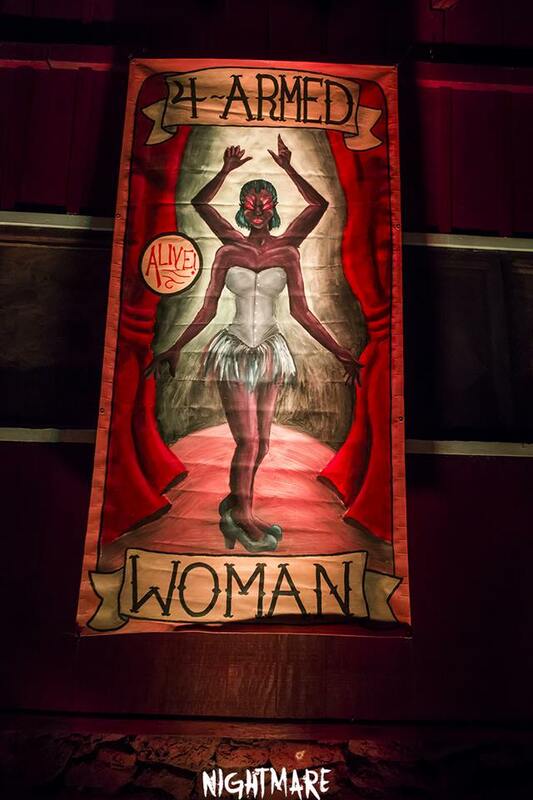 The barn was set at as The Freak Show - a compliment of The Night Circus and the 2nd music stage. If you were there, we hope you had an amazing experience. 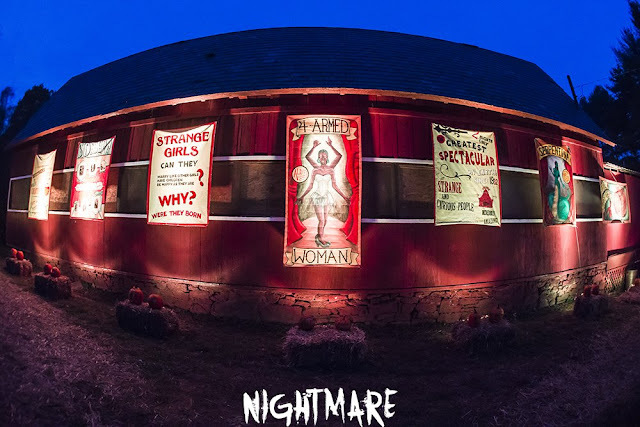 If you were not, well then, take a look to see what you missed! 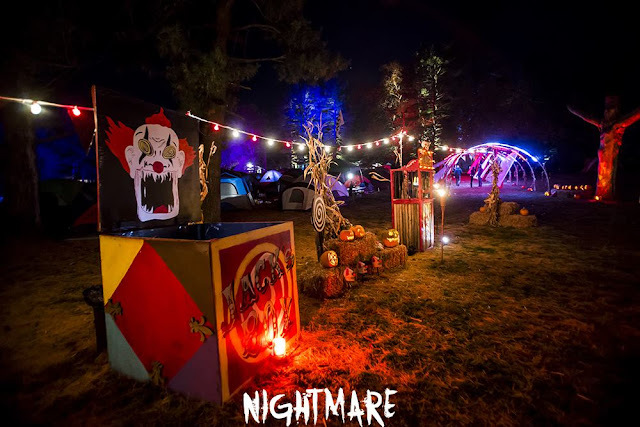 'Till next year! 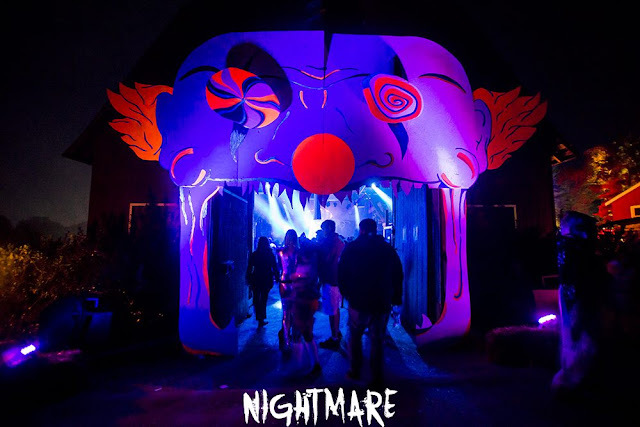 This year was a very special year for us as we ventured out of the Silver Spring location to bring our wicked creations to Nightmare Festival in Darlington, MD. 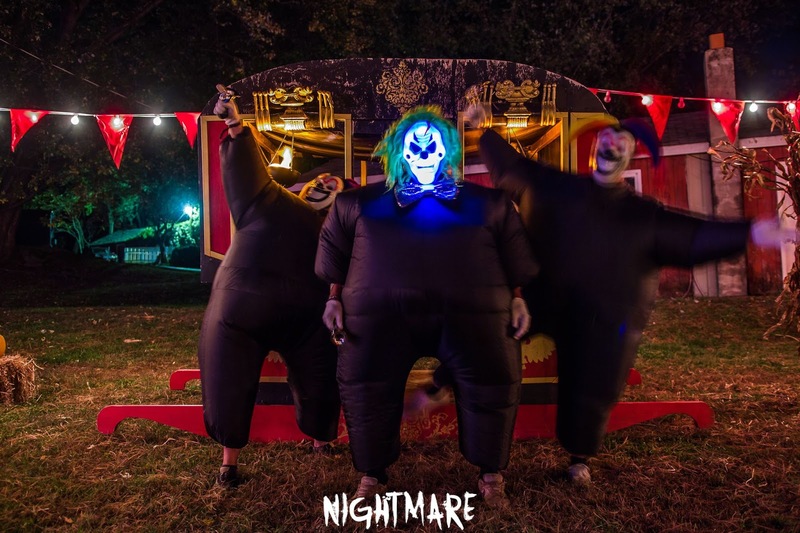 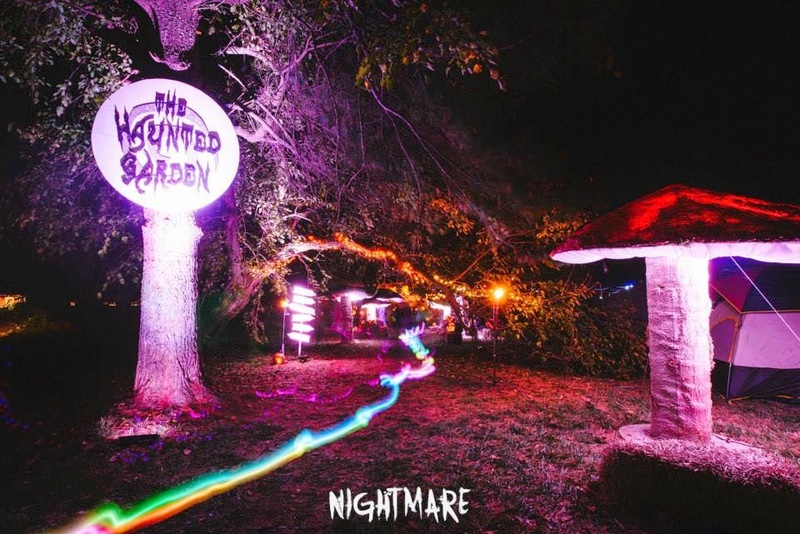 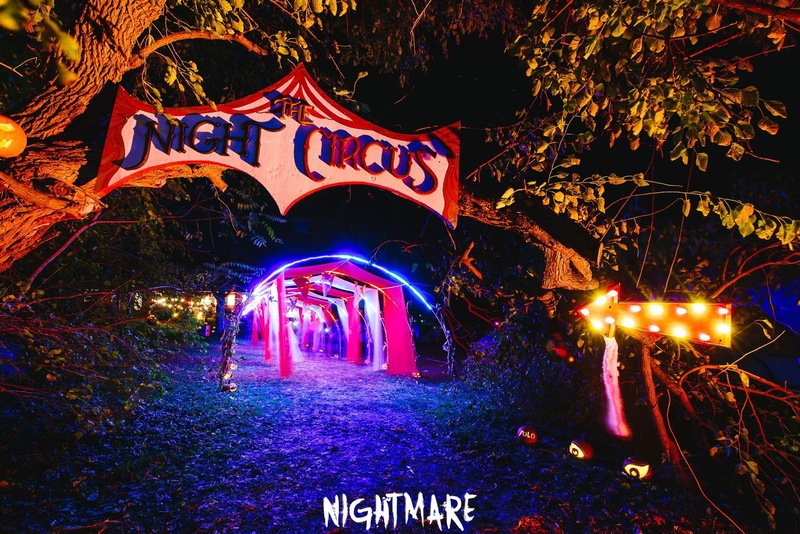 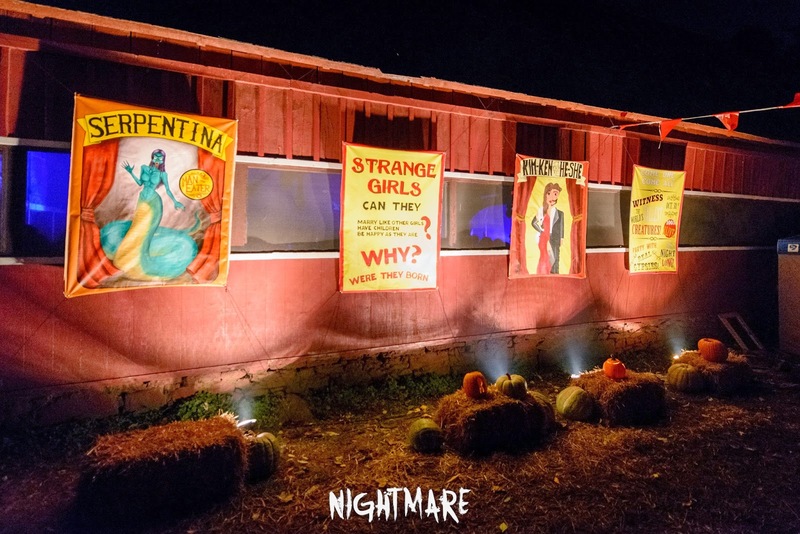 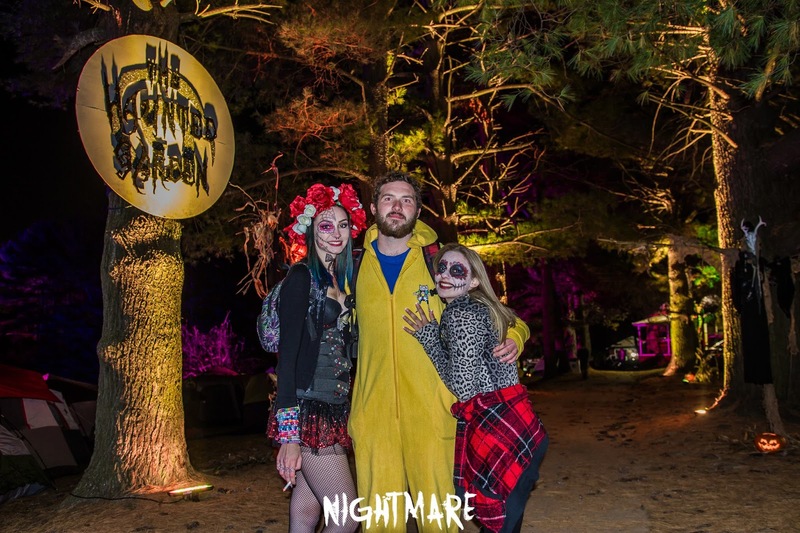 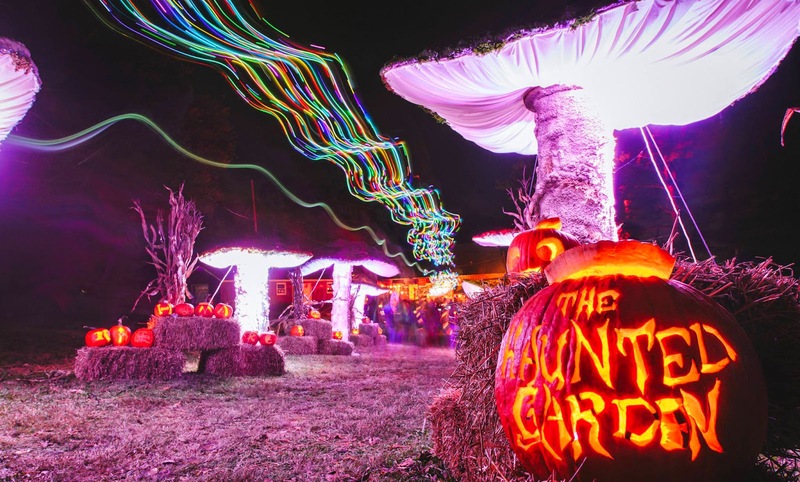 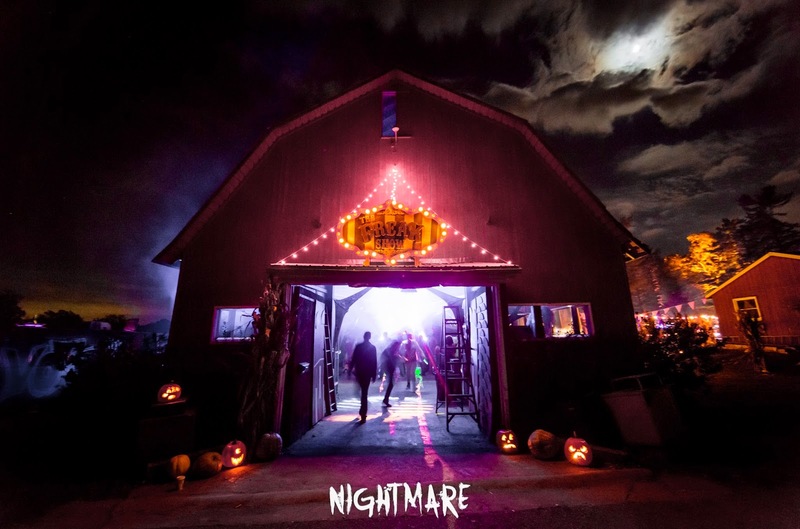 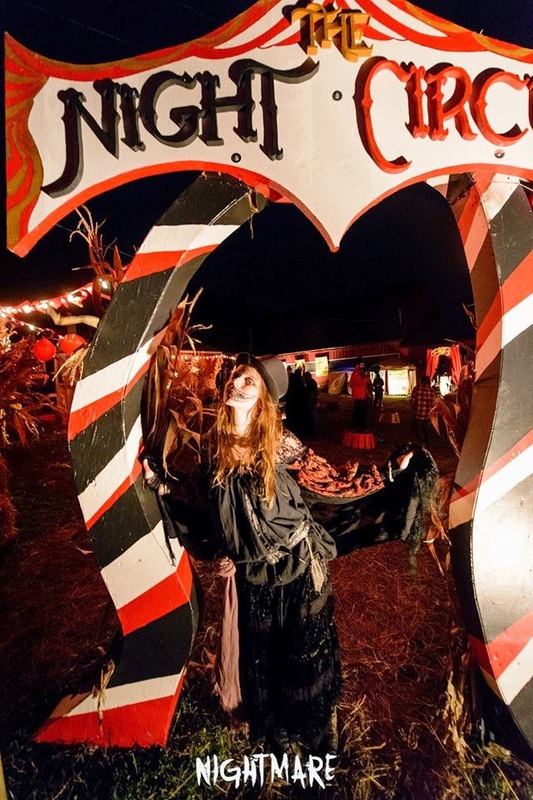 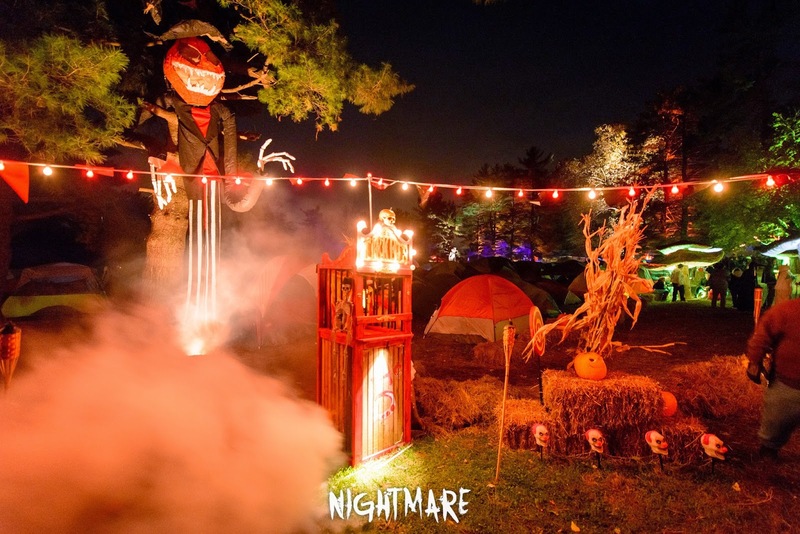 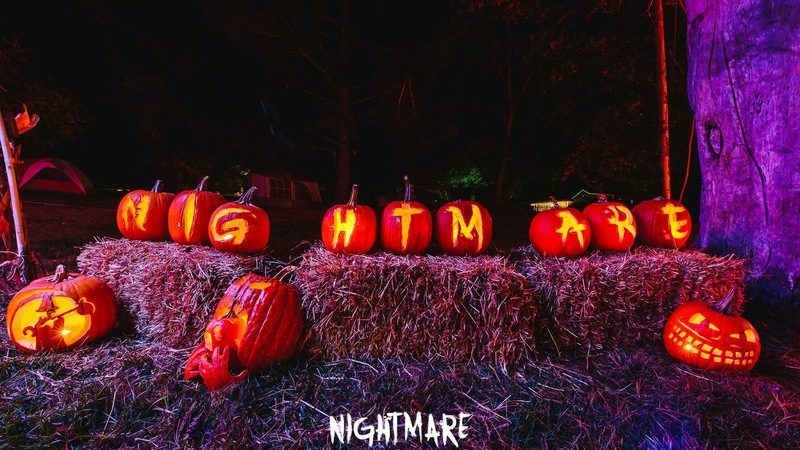 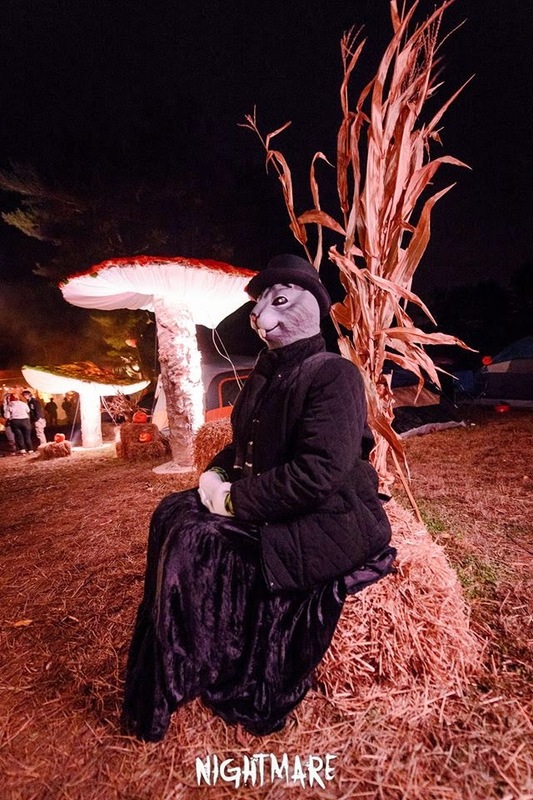 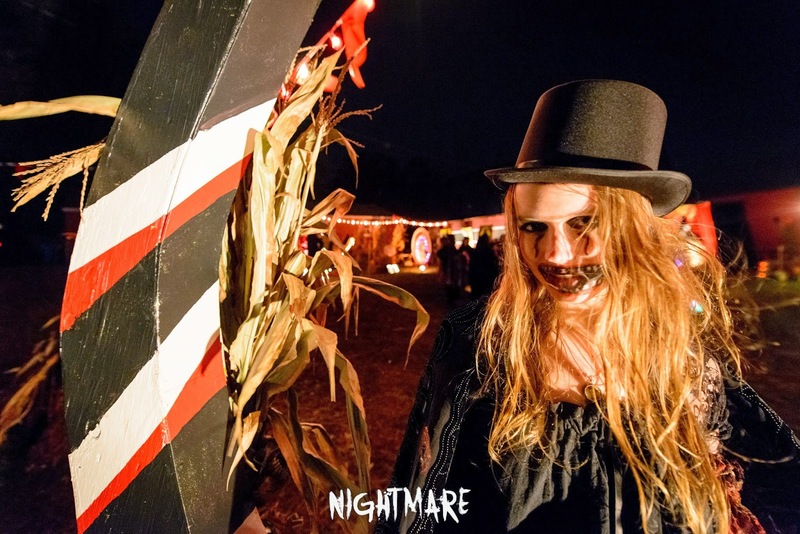 With 3,000 people under the stars, our giant mushroom walk, an all new Night Circus, haunted paths and 25' creatures overhead, Halloween 2014 has become a memory to last a lifetime! 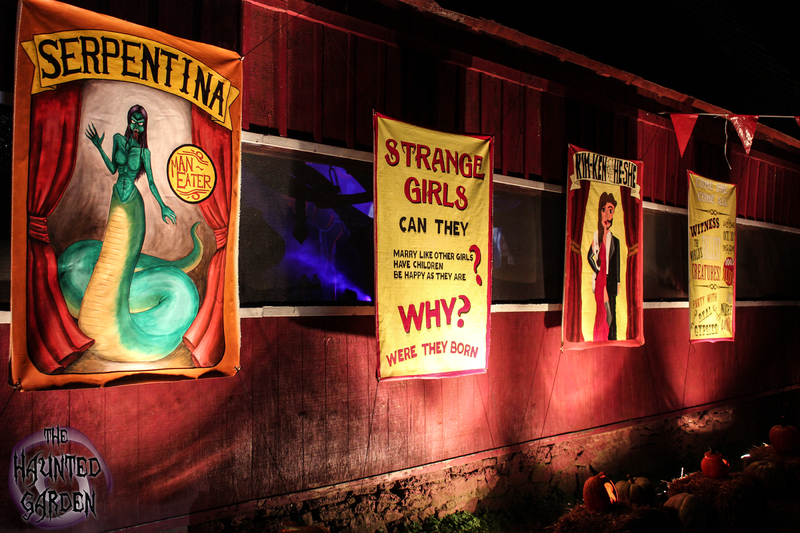 We are currently looking for a new home to open doors as a haunted attraction in West Virginia panhandle area. We hope you will follow us on our journey.